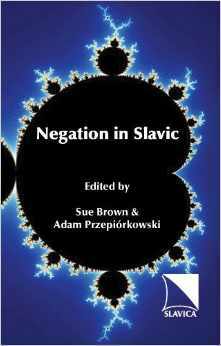 Negation in Slavic joins the ranks of recent studies on negation in its attempt to deepen our understanding of negation phenomena, and is unique in its breadth and diversity of approach. What began as the proceedings of the Workshop on the Syntax and Semantics of Negation held during the 32nd Annual Poznan' Linguistics Meeting developed into a refereed volume of invited contributions from scholars all over the world. The editors extended invitations to contribute beyond those scholars who had participated in the workshop, and all papers were subject to thorough review by at least two anonymous referees. Consequently, only the strongest contributions found their way into this volume. These articles by Leonard Babby, Maria Babyonyshev, Sue Brown, Uwe Junghanns, Anna Kupść Asya Pereltsvaig, Ljiljana Progovac, and Jacek Witkos', address negative concord, negative polarity, and genitive of negation, in addition to exploring scope-related phenomena and the morphology of negation.